Yesterday, Nate and I celebrated our 4 year wedding anniversary. 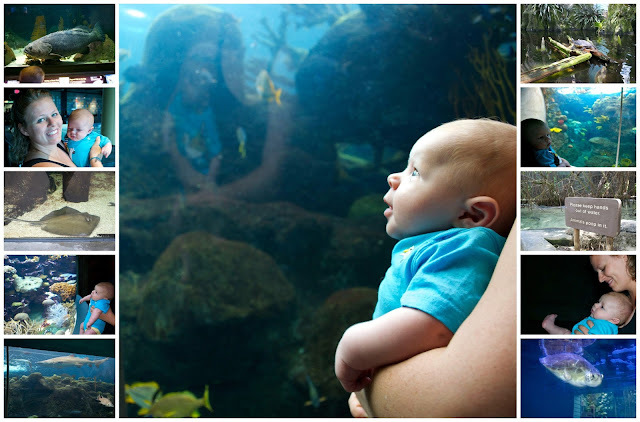 We wanted to do something fun so on Wednesday we took Will to the aquarium. He slept through the first little bit but woke up in time to enjoy the big Tanks. He really liked watching the fishes and bright colors. The Florida Aquarium isn't the biggest aquarium we've ever been to but it's a good size to spend a couple of hours at. It's also has some cute things like a bunch of funny signs like the one above that reads "Please keep hands out of water. Animals poop in it". Isn't that cute? 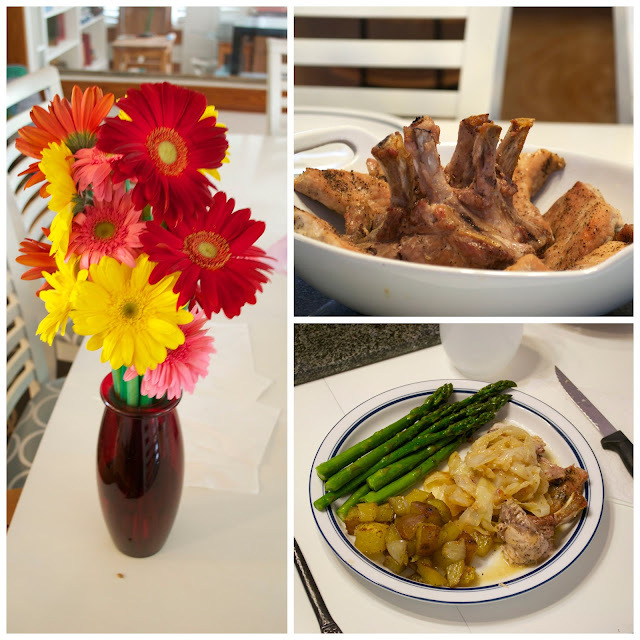 Yesterday, to keep the festivities going, Nate made an awesome crown pork roast and medallions with roasted potatoes and asparagus. For on top of the pork he made cabbage and onion with a dijion and horseradish sauce which was AMAZING. He also got me my favorite flowers because he's sweet like that. Overall we had a pretty great couple of days hanging out as a family. I can't believe it's already the end of June and we are so close to leaving for our big summer trip!